Many know that Brooklyn Friends School began in the "social room" of Brooklyn Monthly Meeting at 110 Schermerhorn Street in 1867. Lesser known is the fact that our school gradually expanded, from 1877 to 1925, to the adjacent lots at 112, 114, and 116 Schermerhorn. The New York Times published a lovely article on Sunday about William Bunker Tubby, the architect of the 1902-1973 home of BFS, 112-116 Schermerhorn. Our former "Main Building" on Schermerhorn was erected in 1902 and it is probable that Mr. Tubby also was called in for the building's 1920 and 1925 additions as he continued working almost until his death in 1944. A single building, 112-116 Schermerhorn looks almost seamless today. Originally born in Iowa in 1858, William B. Tubby and his family moved to Brooklyn before 1860. They were Quakers and soon became members of Brooklyn Monthly Meeting. 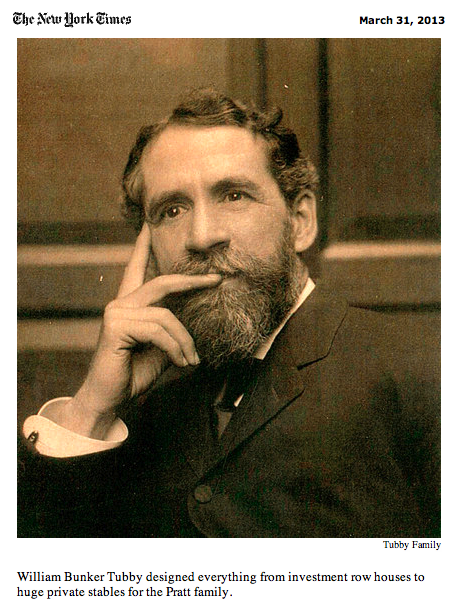 He even attended BFS for three years, beginning in 1868, our second year of existence. The oldest child in the family, it is known that his younger siblings attended BFS as well. 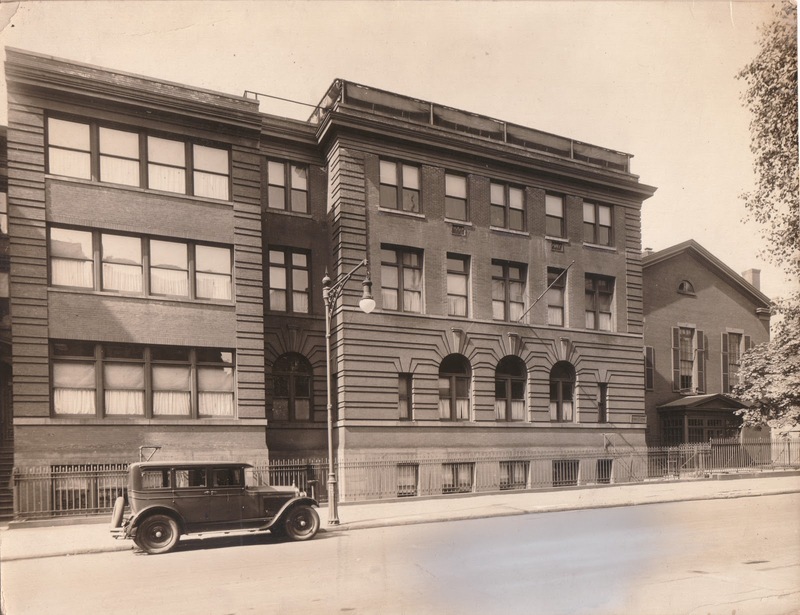 BFS did not have a high school at the time, so Mr. Tubby undertook his high school studies at the all-boys Brooklyn Polytechnic Institute's college preparatory department - the antecedent of the school now known as Poly Prep - from which he graduated in 1875. For some time I've hoped to write a brief history of the early buildings of BFS, so this gives me a little push. Visit again for more on the history of our Schermerhorn buildings later this month and in the Spring 2013 edition of the BFS Newsletter. This work is licensed under a Creative Commons Attribution-NonCommercial-ShareAlike 3.0 United Sta. Simple theme. Powered by Blogger.